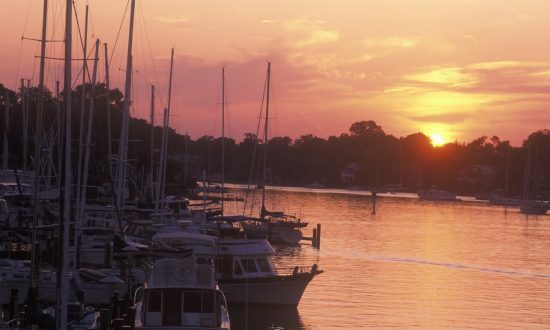 Only a handful of waterways in the world can match the Chesapeake Bay for sheer sailing pleasure, and Annapolis is right in the heart of this sailing paradise. At about 200 miles long, it’s the largest estuary in the United States with thousands of miles of shoreline to explore. It offers sailors protected waters, great anchorages, gorgeous natural scenery, and unique towns and villages steeped in history. Before embarking, seeing the sights of Annapolis is a must. Stroll down to “Ego Alley” at Annapolis Harbor, and then grab a sandwich at Chick & Ruth’s Delly on Main Street. Visit the Maryland State House – the oldest state capitol in continuous legislative use topped by the largest wooden dome in the nation. With so many delightful creeks, coves, rivers, towns and villages to visit, Annapolis makes for a dream sailing vacation. Duty Free Information: Per your airline. Winds: Usually between 7 and 20 knots year round. Special sailing considerations while on charter, e.g. skipper required. Sailing between mid May and Mid October is almost always the best time. Day 1: Begin by sailing to Herrington Harbour. Herrington Harbour South and sister marina Herrington Harbour North are both located on the western shore of the Chesapeake Bay and offer overnight slips, several restaurants and lounges, and a wide range of amenities. Due to Herrington Harbour South’s popularity, it’s best to make reservations. We recommend Mango’s Bar & Grill for beautiful waterfront dining in a classy but laid-back atmosphere. Day 2: Sail to Oxford, located on the Eastern Shore and bordered on three sides by the Tred Avon River and Town Creek. Oxford’s allure is that of a quiet, small town where townspeople make visitors feel like old friends. This community works hard to maintain its serene, boater-friendly atmosphere and boasts a walkable downtown with plenty of shops, restaurants, and attractions. Day 3: Cambridge lies about 13 miles from the mouth of the Choptank River. It was settled in 1684, and is one of the oldest towns in Maryland. The elegant 19th-century homes lining Cambridge’s shaded streets hail from a time when the town was an economic and social center—a heritage also proudly preserved in its maritime museums – Richardson Maritime Museum, Meredith House with its Heritage Museum and Gardens, the Skipjack Nathan, Sailwinds Park, and the Choptank River Fishing Pier. Cambridge Creek offers ample anchorage for those looking for a protected spot to relax. Day 4: St. Leonard Creek is considered one of the most beautiful areas on the Patuxent River. This five-mile-long creek is on the river’s north shore, and features a mix of marshes, rolling hills, and wooded bluffs. At the mouth of Johns Creek is Vera’s White Sands Beach Club. Decorated with South Sea treasures culled from international voyages, Vera’s is a wonderful marina that welcomes all cruisers. 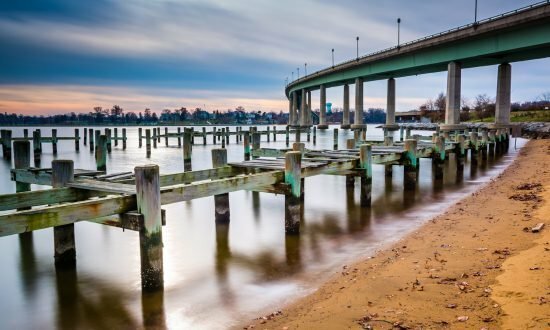 Day 5: Solomon’s Island is picturesque island town nestled in the joining of the Patuxent River and the Chesapeake Bay. Once a seafood packing house supported the local economy, but now tourism is its mainstay. Solomon’s remains a fishing village as well, alive with work-boats and an active charter fishing fleet, but it also offers numerous dining options, shopping, and special events. Be sure to visit The Tiki Bar, the first completely open air bar in Southern Maryland. The annual opening of the Tiki Bar has become a firmly entrenched tradition, drawing crowds near 10,000. The house drink is the Mai-Tai, but look out – they’re strong! Day 6: Another quaint waterfront village, St. Michael’s sits on a bucolic peninsula. It became an important shipbuilding center especially noted for its “Baltimore Clippers” – the fastest sailing vessels of their time. Today, the town is better known as a popular yachting center, and the site of the Chesapeake Bay Maritime Museum. The museum houses the largest collection of Chesapeake Bay artifacts, visual arts, and indigenous water craft. Day 7: It’ll take about 5 to 7 hours to sail back to Annapolis Bay Charters, giving you plenty of time to cement the beautiful scenery in your memory. But don’t worry – the Chesapeake will always welcome you back! Day 1: Rock Hall is a quaint fishing town and top cruising destination. It offers a bevy of marinas, shops, restaurants, and has a burgeoning artist colony. Overlooking Rock Hall Harbor and the Chesapeake Bay, Waterman’s Crab House is well-known for its award-winning steamed crabs, among other delights. Swan Creek has long been a favorite destination for cruisers because of its rural beauty. Located directly north of Rock Hall Harbor, this well-protected creek offers a wonderful place to anchor. Day 2: Baltimore Harbor includes any water west of the National Aquarium in Baltimore and the Rusty Scupper Restaurant. You’ll find a variety of things to see and do at Inner Harbor, all within walking distance. Locals and visitors alike can’t get enough of the fine dining, cultural experiences, and exciting nightlife. Day 3: Sail to Chester River, the second-longest river on the Eastern shore. The Chester is bordered along much of its shoreline by rolling countryside and grand estates. Nearly 3 miles across at its widest point, the river gradually narrows to about a quarter mile at Chestertown, with good navigating depths in a well-buoyed channel. 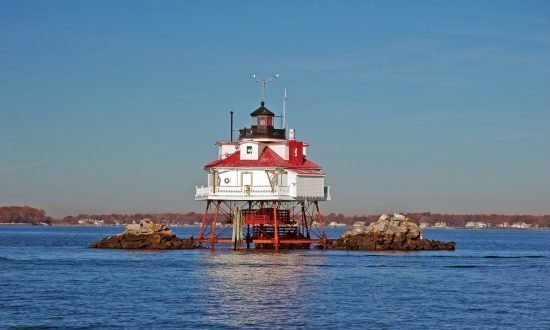 Beyond Eastern Neck Island – which features a wildlife refuge – the Chester River fans out in four generous branches, all of which are inviting. Day 4: The quiet anchorages of Mill Creek and Whitehall Bay lie between the Chesapeake Bay Bridge and the Severn River. Be sure to pay attention to the winding, well-marked channel. Once inside, you’ll find good depths for peaceful anchoring and with the famous Cantler’s Restaurant, known for some of the best steamed crabs in the area. Day 5: Another quaint waterfront village, St. Michael’s sits on a bucolic peninsula. It became an important shipbuilding center especially noted for its “Baltimore Clippers” – the fastest sailing vessels of their time. Today, the town is better known as a popular yachting center, and the site of the Chesapeake Bay Maritime Museum. The museum houses the largest collection of Chesapeake Bay artifacts, visual arts, and indigenous water craft. Day 6: Sail into the Wye River on the Eastern shore. The river’s branches embrace Wye Island along 21 miles of shoreline. You won’t find supplies or public facilities anywhere on the island. Secluded anchorages and a rich historical heritage are the main attraction. Stately old homes, many dating back to colonial times, stand on the banks at every turn. Day 7: Make your way Annapolis Bay Charters today, talking over the adventures of the past week. Expect a sail time between five and seven hours – and expect to return soon! You’ll start to miss it right away. Day 5: Bay Creek has the perfect blend of elegant homes, great dining, a word-class golf resort, plus a state-of-the-art beach club and fitness center – coastal living at its best. Here, “getting away from it all” means getting closer to the life you’ve always imagined. Bay Creek is a true escape, and it neighbors historic Cape Charles on the Chesapeake Bay, minutes away from Norfolk and Virginia Beach. Day 5: Annapolis is the capital of Maryland, and also considered to be America’s sailing capital. 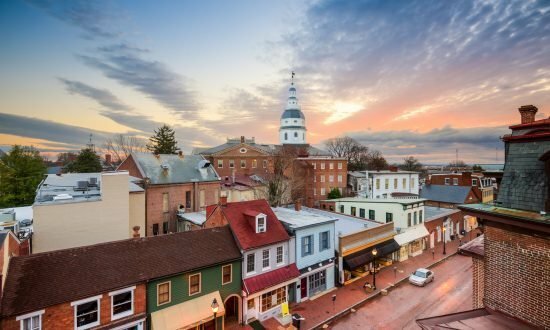 You may dock, anchor, or take a mooring ball in this harbor, then explore Annapolis – a small city full of history, quaint streets, shops, and restaurants. It’s also home of the US Naval Academy: a must-see. Day 7: Sail into the Wye River on the Eastern shore. The river’s branches embrace Wye Island along 21 miles of shoreline. You won’t find supplies or public facilities anywhere on the island. Secluded anchorages and a rich historical heritage are the main attraction. Stately old homes, many dating back to colonial times, stand on the banks at every turn. Day 8: Solomon’s Island is picturesque island town nestled in the joining of the Patuxent River and the Chesapeake Bay. Zahniser’s Yachting Center offers a full-service resort marina and boatyard. Centrally located to town, it also features a swimming pool, restaurant, courtesy bicycles, a grocery shuttle, and more. Day 9: Cruise to Deltaville and visit Dozier’s Regatta Point Yachting Center. The facility has concrete floating docks, a Southern-style clubhouse, and a courtesy car. Dinghy to Railway Restaurant across the creek from the marina, or drive into town (about 3 miles) to sample other local joints. Day 10: Ocean Marine Yacht Center is located just ½ mile South of mile marker zero on the Intracoastal Waterway in Portsmouth, VA. Not only is this new complex easy to find, but it also features a modern marina with all the amenities, an indoor dry storage building, a complete parts department, and room for boats of all sizes. Getting hungry?There are plenty of great restaurants minutes away from the marina. Day 11: Bay Creek has the perfect blend of elegant homes, great dining, a word-class golf resort, plus a state-of-the-art beach club and fitness center – coastal living at its best. Here, “getting away from it all” means getting closer to the life you’ve always imagined. Bay Creek is a true escape, and it neighbors historic Cape Charles on the Chesapeake Bay, minutes away from Norfolk and Virginia Beach. Day 12: Chesapeake Bay Marina at the Tides Inn Resort provides the beauty and tranquility of a secluded harbor and the facilities of a world-class destination resort. Located on Carters Creek, 11 miles from Windmill Point, the marina accommodates up to 24 vessels of various sizes. Day 13: The channel to Onancock Wharf twists and turns, but never fear – it’s plenty deep and easy to follow. There’s no grocery in walking distance, but special arrangements can be made with the harbormaster for transportation. They can provide a list of restaurants in town, where you’ll also find plenty of shops and art galleries. Day 14: Somers Cove Marina in Crisfield offers a swimming pool, picnic tables, barbecues, and golf packages. If you’d like to pick up provisions, there’s a grocery store about a mile away. Excursions at Janes Island State Park and boat trips to Smith Island and Tangier Island are tried-and-true favorites. Day 15: St. Leonard Creek is considered one of the most beautiful areas on the Patuxent River. This five-mile-long creek is on the river’s north shore, and features a mix of marshes, rolling hills, and wooded bluffs. At the mouth of Johns Creek is Vera’s White Sands Beach Club. Decorated with South Sea treasures culled from international voyages, Vera’s is a wonderful marina that welcomes all cruisers. Day 16: It’s back to Solomon’s Island, where a seafood packing house once supported the local economy, but now tourism is its mainstay. Solomon’s remains a fishing village as well, alive with work-boats and an active charter fishing fleet, but it also offers numerous dining options, shopping, and special events. Day 17: Sail to Oxford, located on the Eastern Shore and bordered on three sides by the Tred Avon River and Town Creek. Oxford’s allure is that of a quiet, small town where townspeople make visitors feel like old friends. This community works hard to maintain its serene, boater-friendly atmosphere and boasts a walkable downtown with plenty of shops, restaurants, and attractions. Day 18: Cambridge lies about 13 miles from the mouth of the Choptank River. It was settled in 1684, and is one of the oldest towns in Maryland. The elegant 19th-century homes lining Cambridge’s shaded streets hail from a time when the town was an economic and social center—a heritage also proudly preserved in its maritime museums – Richardson Maritime Museum, Meredith House with its Heritage Museum and Gardens, the Skipjack Nathan, Sailwinds Park, and the Choptank River Fishing Pier. Cambridge Creek offers ample anchorage for those looking for a protected spot to relax. Day 19: Herrington Harbour South and sister marina Herrington Harbour North are both located on the western shore of the Chesapeake Bay and offer overnight slips, several restaurants and lounges, and a wide range of amenities. Due to Herrington Harbour South’s popularity, it’s best to make reservations. We recommend Mango’s Bar & Grill for beautiful waterfront dining in a classy but laid-back atmosphere. Day 20: The quiet anchorage at Galesville in the West River is the perfect penultimate destination on your Dream Yacht adventure. Spend some well-deserved time relaxing and taking in the natural beauty of the region. Day 21: Make your way Annapolis Bay Charters today, talking over the adventures of the past week. Expect a sail time between five and seven hours – and expect to return soon! You’ll start to miss it right away. If this is your first charter with Annapolis Bay Charters and you have not yet submitted your resume, please return it with your Agreement for review and approval. We will call you if we have questions or need additional information. The balance is due 45 days prior to the start of your charter. If you wish to pay by check, the check must be received in this office no less than 45 days prior to the start of your charter. A security deposit as specified on the schedule of security deposits will be collected at check in by verifying a credit card, cash, or traveler’s check. Most Annapolis Bay Charters yachts are located on Back Creek at Port Annapolis Marina. Enclosed you will find a map and directions to the marina at which your yacht is located. Early Boarding (Sleepaboard) If you are scheduled to early board your yacht, you may arrive at the office as early as 4:00pm. Early boarding charterers may receive their briefing that afternoon, however this is not guaranteed. We understand you are anxious to get underway and will complete checkout as expeditiously as possible the following morning. Boarding after 5:00pm may not be assisted by an ABC staff member. A note will be left on the office door letting you know where your yacht is located. The yacht will be unlocked and ready for you to board. A staff member will greet you at your slip the following morning, or you may come to the office after 8:30 to check in. Departure from the slip on early boarding day is prohibited. No exceptions.